Update May 14, 2016: Not free anymore. You can still get it at $0.99. A northerner by birth, Willow moves south when she inherits her grandfather’s ice cream shop. 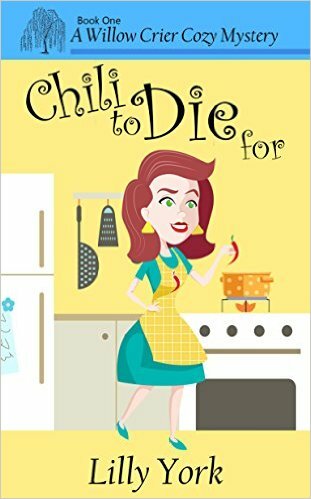 From the slow southern dialect to the crazy drivers, Willow finds herself at odds with what most call “southern charm.” She becomes obsessed with cook-offs and bake-offs, wanting those trophies for her mantle. With the chili cook-off just around the corner, Willow manages to provoke one of the judges to a fit of road rage. When that judge ends up face down, dead, in a bowl of Willow’s chili, police chief Grice looks to the newest town resident as his number one suspect. Willow must find out who wanted Ms. Delonda Posey dead before the good citizens of Turtle, OK run her Yankee bottom out of town.